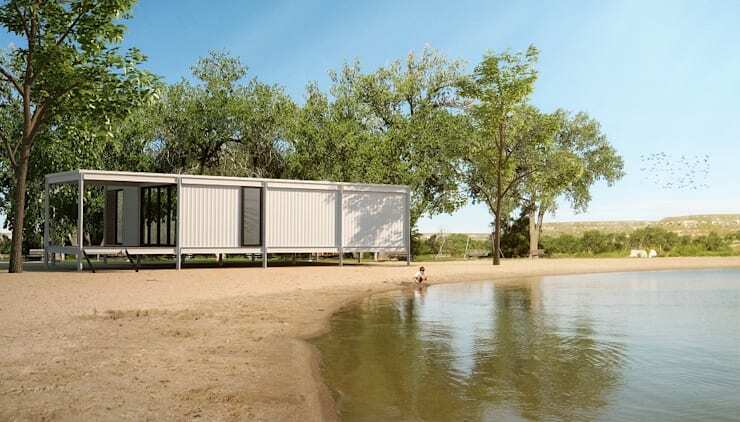 Stylish and innovative homes come in all shapes and sizes, with small, modern abodes often proving highly popular as holiday retreats, or even as the permanent residence of a budding family! 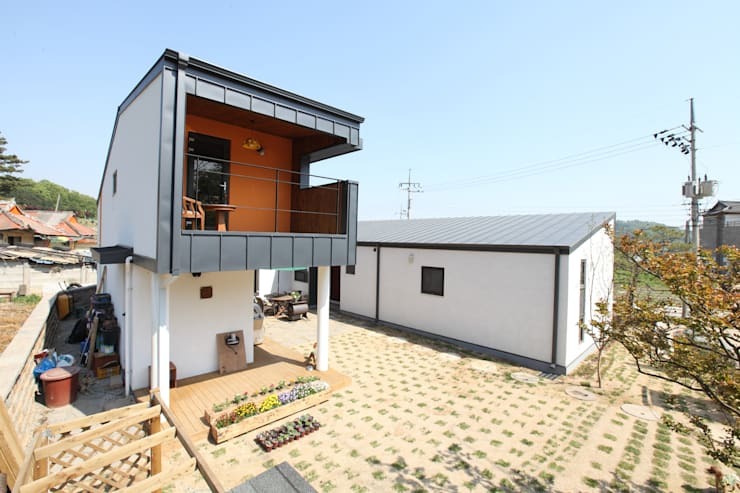 The diversity of these constructions is mind-blowing, with eye-catching designs available to suit those who favour a bold aesthetic, and simple, minimalist dwellings better suited to the needs of an understated home owner. What follows are 8 fantastic homes constructed on plans of 75 square metres or less, that will provide true inspiration for anyone seeking to design or decorate a diminutive abode! 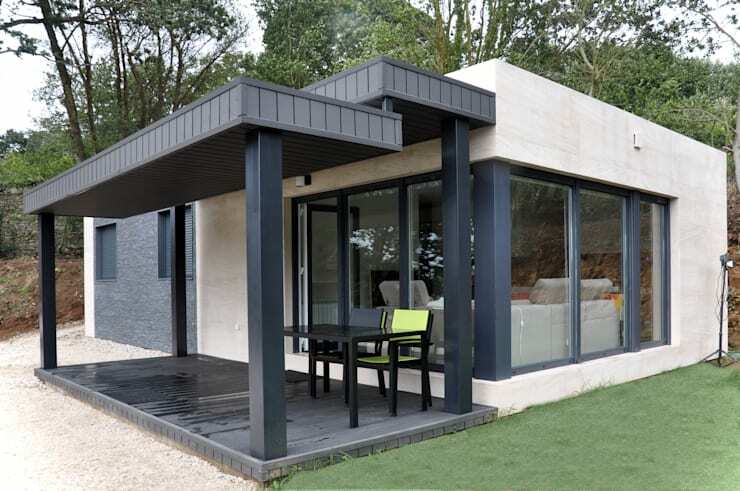 This prefab home presents a stylish, geometric take on a smaller dwelling, with its concrete panels and grey steel beams creating an engaging contrast that catches the eye! The small porch seen here is perfect to host a quiet afternoon in the sun, while the home's large windows reveal a relaxed, open plan interior. Our next project is a charming, timber home constructed on an area of 60 square metres. The home's facade includes plenty of large windows to invite sunlight inside, giving the effect of a bright and spacious interior despite its limited dimensions. The windows can also be sealed over with sunshades and fringing in order that the occupants can exact a level of temperature control year-round. This house presents a bold aesthetic, with its dark, timber facade displaying an engaging silhouette amidst the surrounding woodlands. 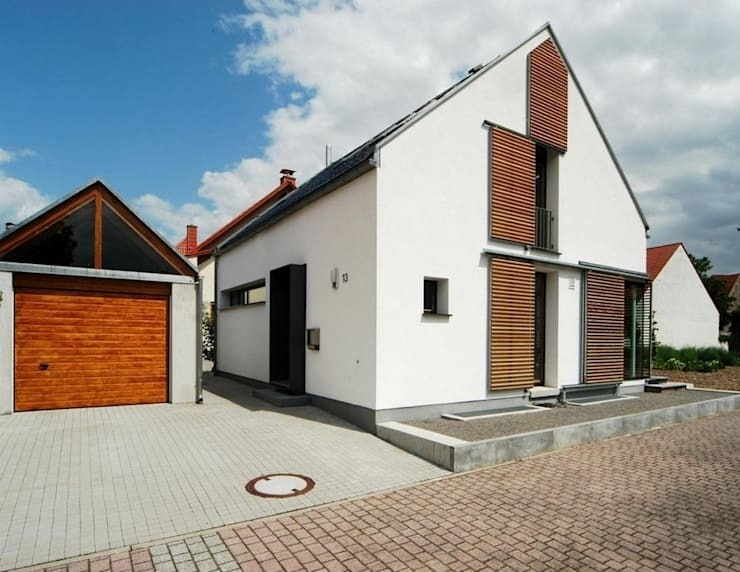 This house was designed to showcase a modern take on the traditional, German cottage. Its lofty roof and white walls elevate the home, despite its small floorpan, while the wooden doors and window shutters seen here add an engaging textual contrast to the exterior. Despite its diminutive proportions, this home has been built across two levels, making it ideal for a small family. 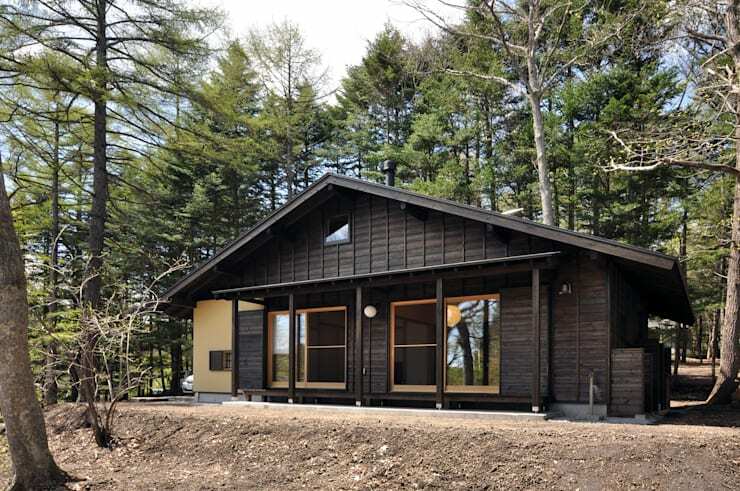 This design reveals a home that is at once contemporary and compact, with its chic, black frame elevating the notion of the traditional woodland lodge with modern style. Occupying an area of only 55 square metres, the home manages to include dining and living rooms and a spacious kitchen and bathroom, each benefitting from a lovely view through the large windows seen here. This beautiful abode takes rustic style to news heights. 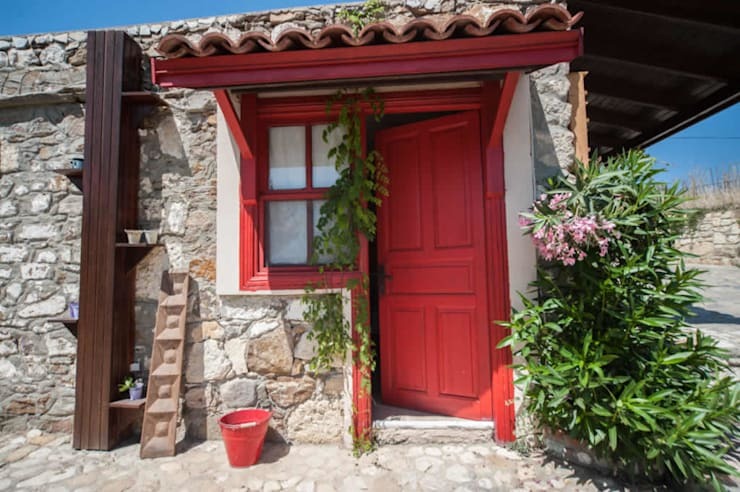 Its stone facade immediately charms onlookers with a sense of strength and history, while the red detailing in and around the front door pops with a bold splash of colour! The stone walls constructing the abode ensure supreme insulation, keeping the home cool in warm weather and trapping any heat from internal systems in the colder months. The effect is a home that is both rustic and functional, with plenty of character and style as well! This lofty abode takes a minimalist approach to the modern dwelling, with the architects creating a simple, two-story home of black and white, but also infusing hints of colour to spice up the design. The black and white construction is simple and chic, and carves a contemporary silhouette amidst its rural surrounds. The burnt orange feature wall in the balcony gives the abode a little something extra, with the use of vibrant colour also echoed in the flowerbeds lining the home's front porch. This dwelling is both modern and extremely versatile, as it is able to be transported with relative ease to new locations. Reminiscent of a steel shipping container, the home is streamlined and modular, with a spacious, open-plan interior perfect for a small family. Best of all the house can be disassembled and reconstructed over and over again, making it great for those who like to move about! This last home sits at a diminutive 37 square metres, but don't be fooled—it still manages to include plenty of stylish functionality within its cubist frame! Beyond the abode's patch-work of timber panels lie 2 bedrooms and an open plan kitchen, with the entire interior appearing spacious and inviting. Add to that a simple terrace with a lovely view and you have an impressive abode, perfect for modern, country living. 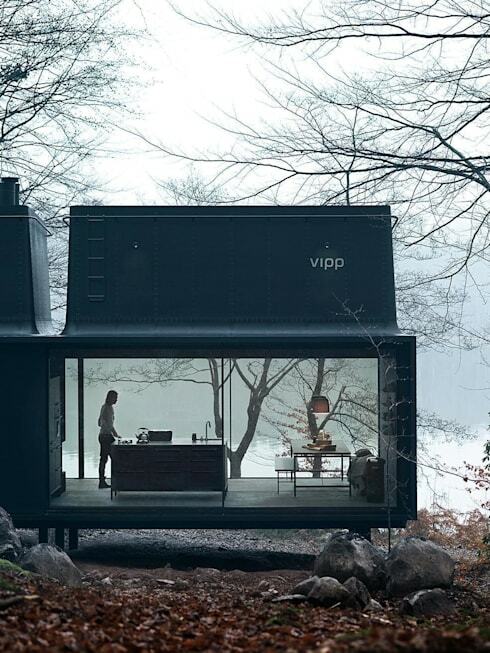 Looking for more inspiration on how to design a small dwelling to perfection? 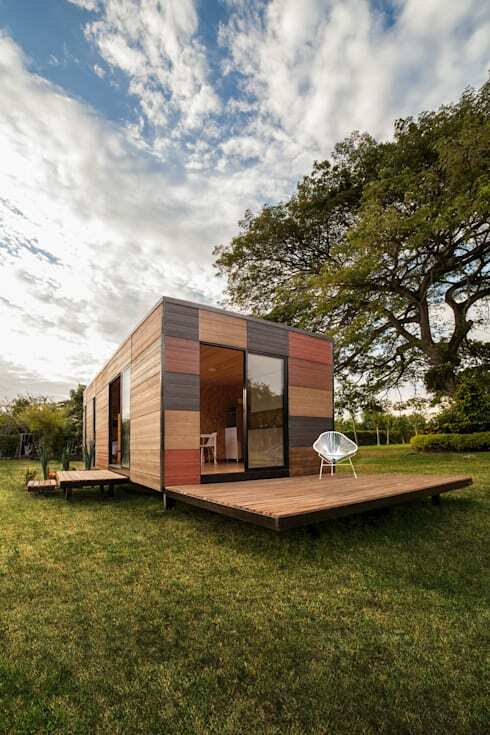 Then have a look at Smart modern design: A tiny yet brilliant home. Which was your favourite home from the list?